Need to stretch your apps budget? 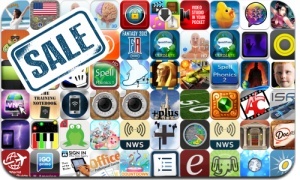 Here are 67 iPhone, iPad and iPod touch apps that just went on sale. This app deal alert includes Snooker Club, Animation Creator, Event Countdown, Over, OSnap! Ultimate Time Lapse, Video Camera, 100 Cameras in 1, iLightningCam, My Downloads Pro, Phone Drive, Cloud Outliner, and many others.